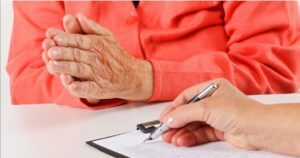 Modern science has revealed that the cause of aging may be far simpler than previously thought. The wastes produced from food are highly acidic and acidosis is one of the main contributors that lead to the aging process and various illnesses. Acid waste is excreted from the human body in the form of urine or sweat. But the wastes that are not excreted will be circulating around in the blood, organs and all over the body. This acidic waste will progressively accumulate somewhere in our capillaries, blood vessels and eventually clog them up. Also as a consequence of this, the cells of the human body will be deprived of their supply of oxygen and essential nutrients, rendering these cells inoperative in reproduction and maintenance. That’s the main reason why people age. Furthermore, with the blood vessels clogged up, the function of every organ in the human body accumulating acidic waste will begin to deteriorate, causing serious illnesses in the long run. Acidosis is over acidity in the body which can and will become a hazardous state that weakens all body systems. This is extremely widespread in many countries and cultures today, without any of the people’s knowledge yet alone their concern about it. It gives rise to an internal environment making it advantageous to disease, as opposed to a neutral pH environment which allows normal body function necessary for the body to resist disease. A healthy body needs to maintain adequate alkaline reserves to meet emergency demands when excess acids (acidosis) must be neutralized. When our alkaline reserves are depleted it leaves the body in a weakened and vulnerable condition. Now we depart from health in just the proportion to which we have allowed our alkalies to be dissipated by introduction of acid-forming food in too great amount… It may seem strange to say that all disease is the same thing, no matter what its myriad modes of expression, but it is verily so. William Howard Hay, M.D. But the understanding of this is actually known more than 2000 years ago by Taoist medicinal practices. Traditional Taoists categorizes foods according to their bio-energetic nature. Like all energies, food energies are polar and therefore they are categorized primarily in terms of yin and yang. Yang foods are acid-forming and impart acidity to the bloodstream and cellular fluids, while yin foods are alkalizing to bodily fluids and tissues. This is the effect that foods have on the body’s pH balance, not their own intrinsic pH values. Example is citrus fruits. They are acidic but usually make the urine alkaline after being metabolized by the body. Every day we battle against molds, yeasts, bacteria, viruses and fungi. By using antibiotics as the first line of defense we have encouraged the development of more powerful deadly germs and bacteria. Our immune systems are becoming weaker and over-taxed in this battle. Louis Pasteur declared the germ theory of disease that states germs are the cause of disease. But note Dr. Pasteur’s dying words: “The germ is nothing, the inner terrain is everything”. An unborn child lives on nutrients from his mother while in the womb and the body of the baby becomes alkaline, owing to the consumption of alkaline minerals. Naturally, this is due to the release of alkaline minerals from the mother. This release of alkaline minerals during pregnancy does temporarily weaken the mother’s body, causing a lack of appetite etc. The baby will remain alkaline while breast feeding, but will begin to reduce in alkalinity once put on infant cereals and when it is ready for solid food consumption acidity increases dramatically. If the cause of aging lies in acidosis, then the answer to longer life must lie in remove such acidic wastes. For this reason, to neutralize acidic-forming meals, alkaline water could be the answer. Many doctors recommend a vegetarian or low meat diet as alkaline minerals and vegetables help neutralize acidic waste. But vegetables only contain a very small amount of alkaline minerals and that is why a very large quantity of vegetables needs to be consumed in order to neutralize these wastes in the body. We function at the cellular level. All the billions of cells that make up our human body are slightly alkaline, and must maintain alkalinity in order to perform, remain healthy and alive. As each alkaline cell performs its task of respiration, it secretes metabolic wastes, and these end products of cellular metabolism are acid in nature. Although these wastes are used for energy and function, they must not be permitted to build up. One example of this is the often painful lactic acid which is created through strenuous exercise. The body will go to great lengths to neutralize and detoxify these acids before they act as poisons in and around the cell, ultimately changing the environment of the cell. Most people and clinical practitioners consider the immune system is the body’s first line of defense, but in actual truth it is not. It is important thought, but it’s more considered like a very advanced clean-up service. We must instead look at the importance of pH balance as the first and major line of defense against sickness and disease and for health and vitality. The question to what is killing us, the answer may possibly lie in ACIDOSIS. It has been demonstrated that an acidic, anaerobic (lacking oxygen) body environment encourages the breeding of fungus, mold, bacteria, and viruses. Let’s take the analogy that if we were to seal the door to our freezer and then unplug it, come back and open the door in two weeks, what would we find? Mold and all sorts of microbes would be growing and multiplying. Where did they all come from? They did not sneak in. remember the door was sealed. The answer is . . . they were always there. It is simply that the environment changed to a more favorable and healthy one for these germs to live in. This can be equated to a change in our biological terrain from a healthy oxygenated, alkaline environment to an unhealthy anaerobic acidic environment. You see what is healthy for us is unhealthy for the body attackers and what is healthy for them is what is unhealthy for our body. pH (potential/power of hydrogen) is a gauge of the acidity/alkalinity of a solution. It is measured on a scale of 0 to 14 – the lower the pH the more acidic the solution, the higher the pH the more alkaline (or base) the solution. When a solution is neither acidic nor alkaline it has a pH of 7 which is neutral. Water is the most abundant compound in the human body, comprising 70-75% of the body. 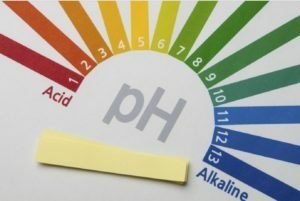 The body has an acid-alkaline (or acid-base) ratio called the pH which is a balance between positively charges ions (acid-forming) and negatively charged ions (alkaline-forming.) The body constantly strives to balance pH. When this balance is compromised many problems can occur. It is important to understand that we are not talking about stomach acid or the pH of the stomach. We are talking about the pH of the body’s fluids and tissues which is an entirely different matter. It is recommended that you test your pH levels to determine if your body’s pH needs immediate attention. By using pH test strips, you can determine your pH factor quickly and easily in the privacy of your own home. There is much to discover so that pH test result can be meaningful. The results of saliva testing indicate the activity of digestive enzymes in your body, especially the activity of the liver and stomach. This reveals the flow of enzymes running through your body and shows their effect on all the body systems. First, you must wait at least 2 hours after eating. Fill your mouth with saliva and then swallow it. Repeat this step to help ensure that your saliva is clean. Then the third time, put some of your saliva onto the pH paper. The pH of the urine indicates how well your body is assimilating minerals, especially calcium, magnesium, sodium and potassium. The urine reveals the alkaline building (anabolic) and acid tearing down (catabolic) cycles. The pH of urine indicates the efforts of the body via the kidneys, adrenals, lungs and gonads to regulate body pH balance through the buffer salts and hormones. Urine can provide a fairly accurate picture of body chemistry, because the kidneys filter out the buffer salts of pH regulation and provide values based on what the body is eliminating. Urine pH can vary from around 4.5 to 9.0 for its extremes, but the ideal range is 6.5 to 7.0+. Urinary pH tends to be lower in the morning and higher in the evening. It is suggested to keep a log of both salvia/urine pH tests for both morning and evening. The human body is capable in absorbing minerals and nutrients properly only when its pH is balanced. So it is possible for you to be taking healthy nutrients and yet be unable to absorb or use them. 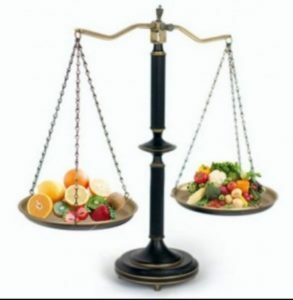 If you are not getting the results you expected from your nutritional or herbal program, look for an acid/alkaline imbalance. Even the right herbal program may not work if your body is struggling with acidosis. A state of acidosis is simply the lack of oxygen and available calcium which the body uses to maintain its alkaline balance. Calcium makes up 1.6% of our body weight and is considered the human glue that holds the body together. Calcium is so biochemically active that it has been likened to an octopus. A calcium ion can hold onto seven other molecules while it grabs onto one molecule of water. No other ion can do this. And it is the right size to easily get in and out of the human cell. As it does this, it takes a chain of nutrients into the cell and then leaves to get more nutrients. Is Telekinesis Real or Just Science Fiction? is Mind Control Possible in real life?